Find Sherrills Ford, NC Homes for sale. View Photos, Maps and MLS Data Now! Mccorkle - Buyers will enjoy the home's waterfront amenities including a two-level floating dock with covered boat slip and fixed ladder for easy water access. MLS#3497623. Keller Williams Ballantyne Area. Detached garage/workshop wired for electric - single garage door, but large enough for 2 cars. MLS#3498455. Red Door Real Estate Group of Hickory LLC. Start packing and welcome to Lake Norman Waterfront living. MLS#3485582. Lake Norman Realty, Inc..
Asbury Park - There is a brick fireplace in the greatroom , 2 full baths,large sunroom off of the greatroom that allows you to enjoy the lake views. MLS#3496314. Judy Yarbrough Realty. Northview Harbour - Active and diverse community with pool, tennis courts, community storage, boat docks and even a boat launch. MLS#3494944. Premier Realty Advisors. All you need to create your dream. MLS#3495451. Stable Real Estate LLC. Northview Harbour - Spotless 3 car garage - and Deeded Boatslip F17, too! MLS#3495586. Keller Williams Realty. Just minutes from the new Publix grocery in an area that is very up and coming. 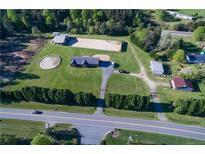 MLS#3484788. Lake Norman Realty, Inc..
Owners love the peaceful location but ready to get back on the road in their RV. No closings cost offered. MLS#3493443. Hecht Realty, Inc.
Island Point - Lighted path leads to 2 Sty Dock w/slip & jetski ramps. Seawall w/stone steps into lake. MLS#3491979. Keller Williams Mooresville. Mountain Creek - Property to be sold in as is condition. New well installed 2016. MLS#3490715. Helen Adams Realty. Community has deeded lake access. No HOA. Quiet quaint street. MLS#3492734. Dazcon Properties. Northview Harbour - New Sherrills Ford Village being constructed only minutes away for additional shopping & dining. MLS#3481098. Berkshire Hathaway HomeServices Carolinas Realty. Home has been unoccoupied for several years. MLS#3491478. Southern Homes of the Carolinas. Seller will give a $10k credit for paint, buyers can choose their preference! MLS#3485404. WEICHERT, REALTORS- LKN Partners. Lakepointe South - Heated/Cooled garage and master on main. MLS#3490287. EXP REALTY LLC. White Dove Estates - Wood shop with power & wood stove below this deck. See attached Features Sheet. MLS#3487227. Impact Carolinas Realty LLC. Big water views, deep water access & 108 feet of shoreline w/ amazing sunsets." MLS#3490538. Southern Homes of the Carolinas. Northview Harbour - Just in time for the lake season! MLS#3489026. Lake Norman Realty, Inc..
Home Warranty included! Motivated sellers. MAKE AN OFFER! MLS#3488071. Jenny D Myers. The lake decor fits the space wonderfully. All personal items are negotiable. MLS#3484841. Helen Adams Realty. The home is very livable as is but may be moved if you want to build a larger upscale home in the future. MLS#3489186. Newport Properties. Secluded on just over 2 acres with privacy yet just 5 minutes to the Sherrills Ford Publix and 10 minutes to 16. MLS#3489345. Lake Norman Realty, Inc..